Study objectives are to determine whether quality of life is recovered completely after major injury and to identify determinants associated with a worse quality of life. 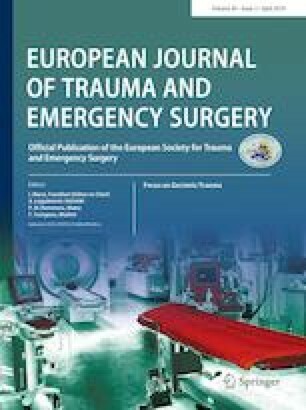 Prospective 12-month follow-up of injured patients admitted to the intensive care unit in a Spanish level 1 trauma centre. The main outcome (quality of life) was measured using the EQ-5D-5L. The relationships between sociodemographic factors, injury severity and location, and quality of life scores were evaluated. Mean comparison analysis (95% confidence interval) was performed with the student “t” test for quantitative variables and with chi-squared for proportion comparison (qualitative variables). A multivariate logistic regression (odds ratio and 95% confidence interval) was performed to identify determinants of each dimension, and a multivariate linear regression (regression coefficient and 95% confidence interval) to identify the determinants of EQus and EQvas. Over a 2-year period, 304 patients who met the inclusion criteria were identified, and 200 patients (65.8%) were finally included. Most of patients suffered blunt trauma (91.5%), 72.5% were men, mean age was 47.8, mean ISS was 15.2. The overall health index (EQvas) improved slightly, but its mean value at 12 months was below the Spanish population norm (P < 0.001). In the multivariate analysis, age ≥ 55, female gender and unskilled employment were risk factors for a lower EQvas. Also in the multivariate analysis, having a severe extremity injury was associated with a lower score on the mobility dimension (OR 6.56 95% CI 2.00, 21.55) while age ≥ 55 years was associated with a lower score on the usual activities dimension (OR 3.52 95% CI 1.17, 10.57). Female gender was the most important factor associated with suffering pain (OR 4.54, 95% CI 2.01, 10.27) and depression/anxiety (OR 4.04, 95% CI 1.88, 8.65). In the univariate and multivariate analyses, female gender, age ≥ 55 years, ISS ≥ 25 and severe extremity injury were associated with a lower EQ utility score (EQus). The quality of life score improves during the first year after major trauma. However, it does not return to the reference levels for the normal population. Female gender and age ≥ 55 years are statistically significant determinants of poorer EQvas and EQus. Thank you to Mireia Figueroa, JavieraHernández and Georgina Vila for all the efforts. Without your constant dedication, this study had not been possible. IX Convocatoria de Becas y Ayudas a la Investigación Médica de la Fundación Mutua Madrileña. The study was approved by our centre’s Ethics Committee and the information was collected anonymously and confidentially. All patients (or relatives acting in their name) signed an informed consent form. Isaac L. The glasgow outcome scale, the center for outcome measurement in brain injury. 2000. http://www.tbims.org/combi/gos. Sander A. The extended glasgow outcome scale, the center for outcome measurement in brain injury. 2002. http://www.tbims.org/combi/gose.